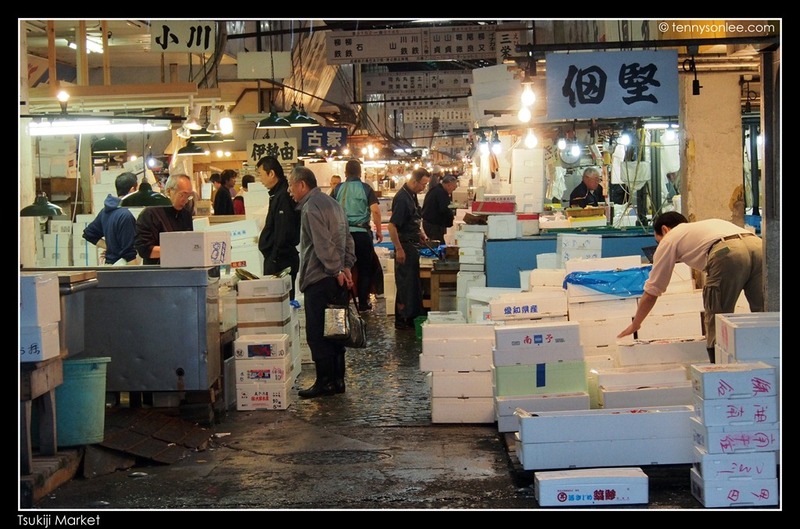 Tsukiji Market is better known than its official name Tokyo Metropolitan Central Wholesale Market. 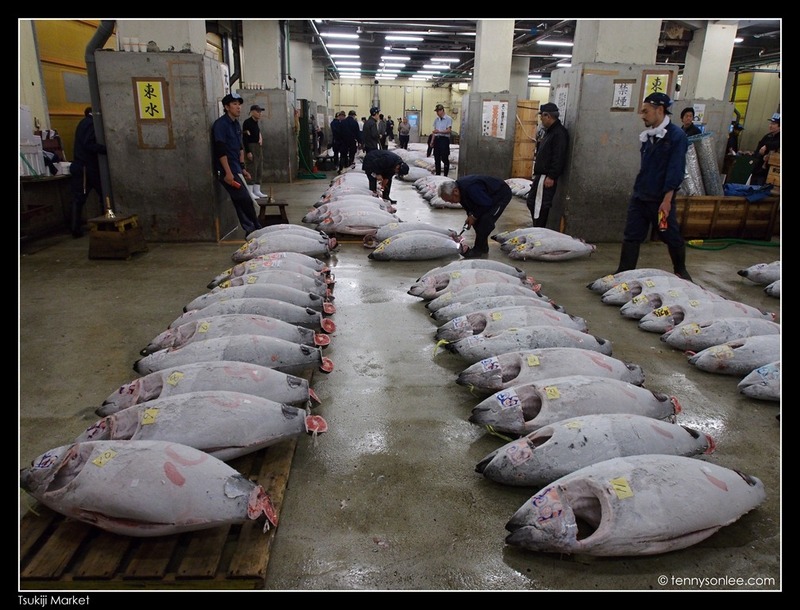 Tsukiji is the largest wholesales seafood market in the world. 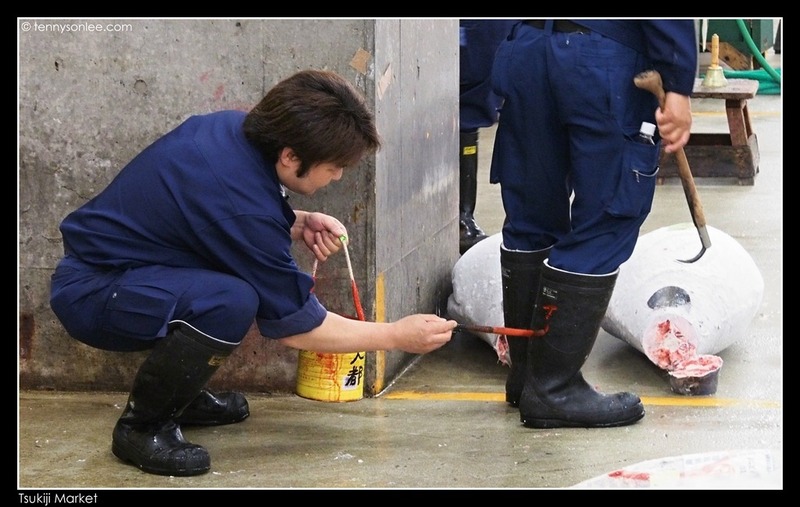 The most famous activity is the tuna fish auction where it attract full house of visiting tourists. As the busy body tourists, we won’t miss the chance to join this once in a life time experience. The price to pay is none in term of monetary, but one has to sacrifice a bit of sleep. In order to reduce the disturbance to the auction, the authority has limit 120 visitors per day. b) Please note that the Fish Information Center is the side door. If you go to the main gate, you are on the wrong door. Ask the guard for a map or direction. c) the first 60 people will be invited to queue inside a small waiting room (it was a blessing on the raining or cold morning, the rest of the 60 pax could be suffering from chilling morning temperature), so please arrive as early as possible. d) entrance is free but do observe the rules and guideline set by the authority. 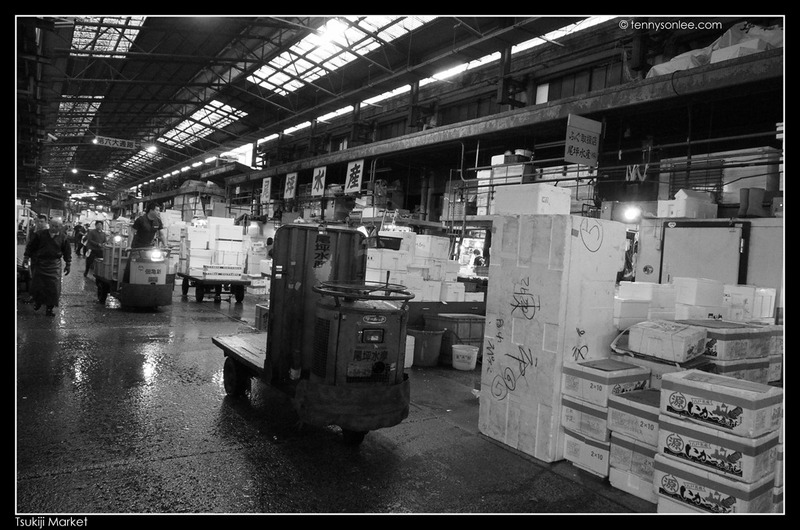 For example, do not us flash, avoid loud conversation, watch out for the fast moving vehicles, do not visit the other wholesale areas before 9AM. e) do wear proper footwear and warm clothing. 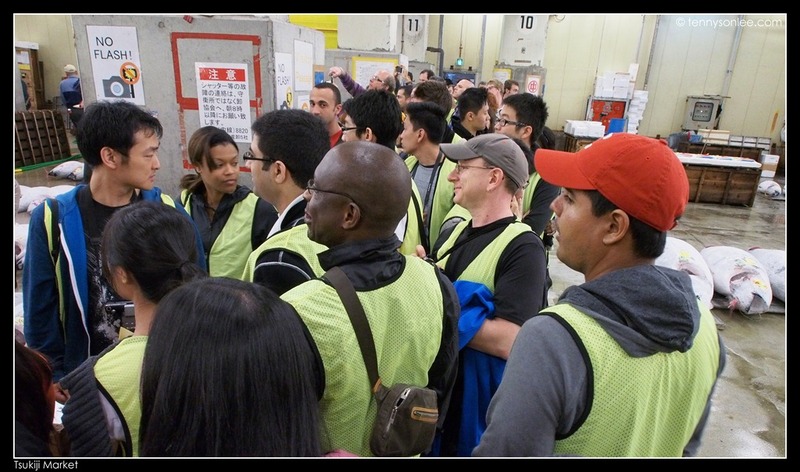 You will be inside a big freezer during the auction. 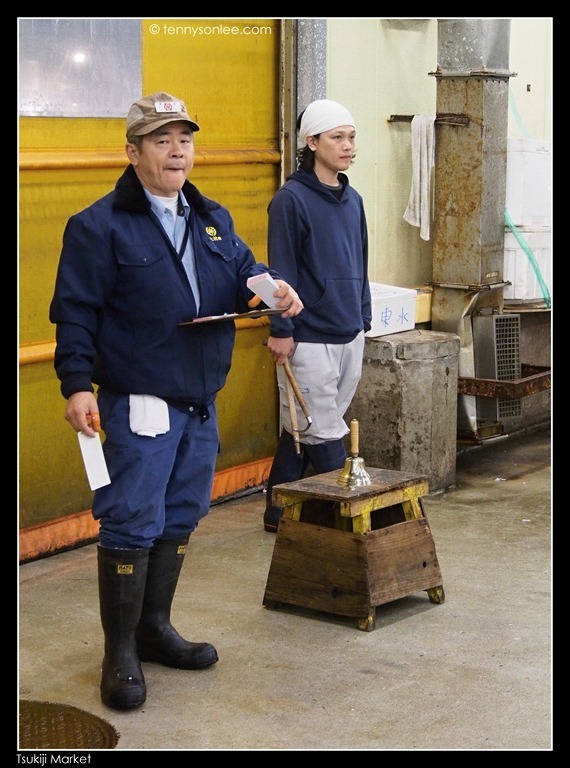 It was brief but very memorable experience to witness the auction and large frozen tuna fish. Many tourist guide may advise you to try the sushi at the food stall. Personally, I think the Jogai Sijou outer market is more interesting than the Uogasi Yokochou inner market. 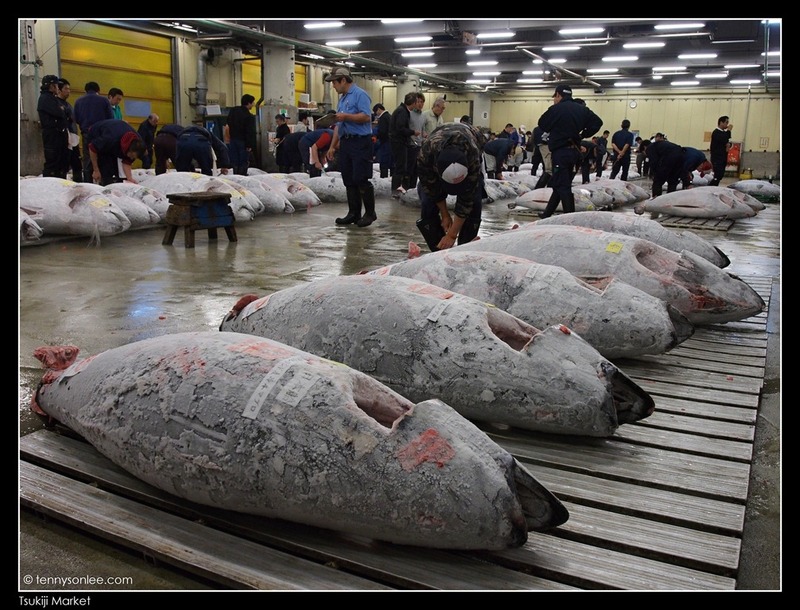 We finished our tuna auction tour by 5:50AM. We move on to the outer market where the shops starting to opening for business. Instead of trying the over priced sushi at Uogasi Yokochou, I would recommend the ramen and seafood at Jogai Sijou (follow that the local eat). 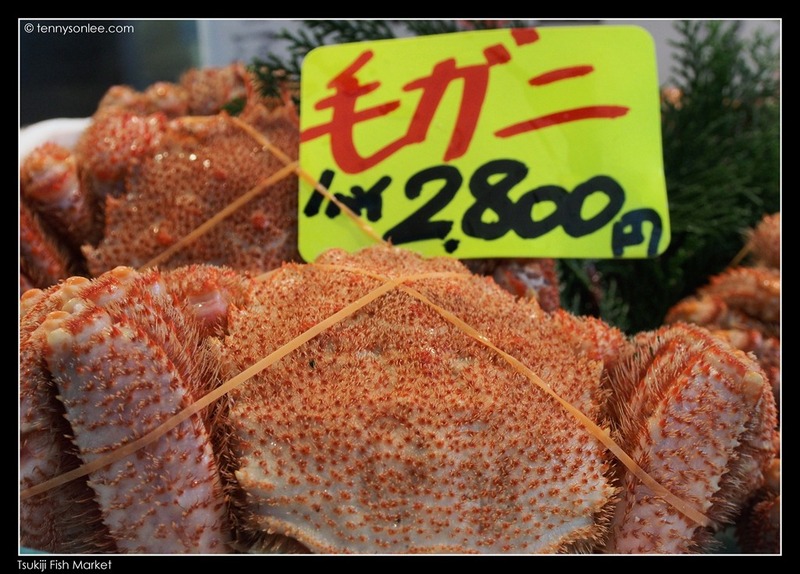 It was amazing the amount of seafood consumed by Japanese. 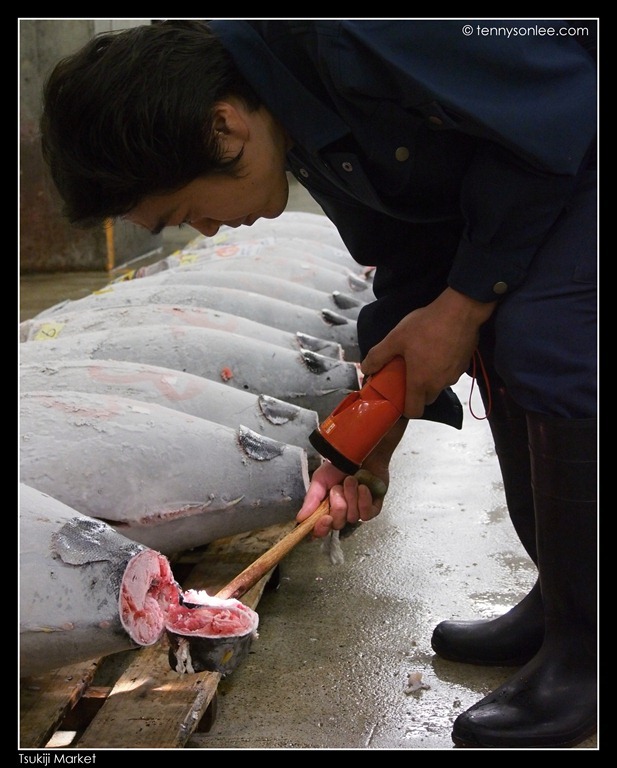 I start to wonder if the fish stock in our ocean is limited or inexhaustible. 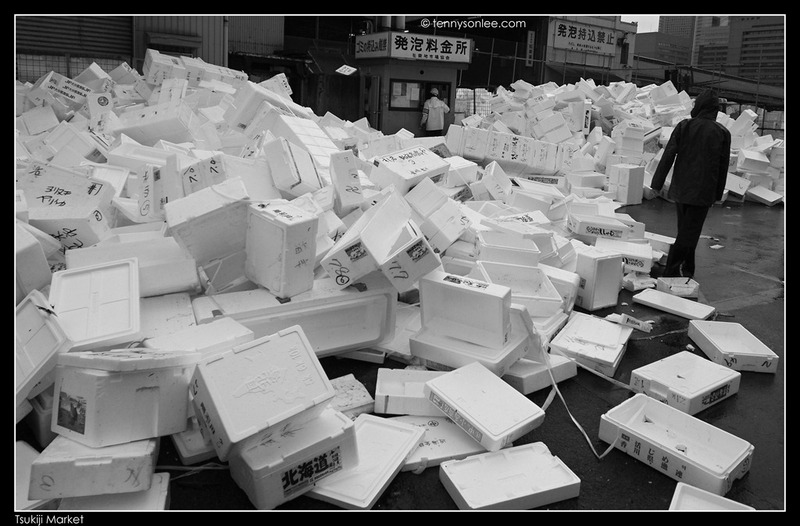 This entry was posted on May 14, 2012 by Tennyson. 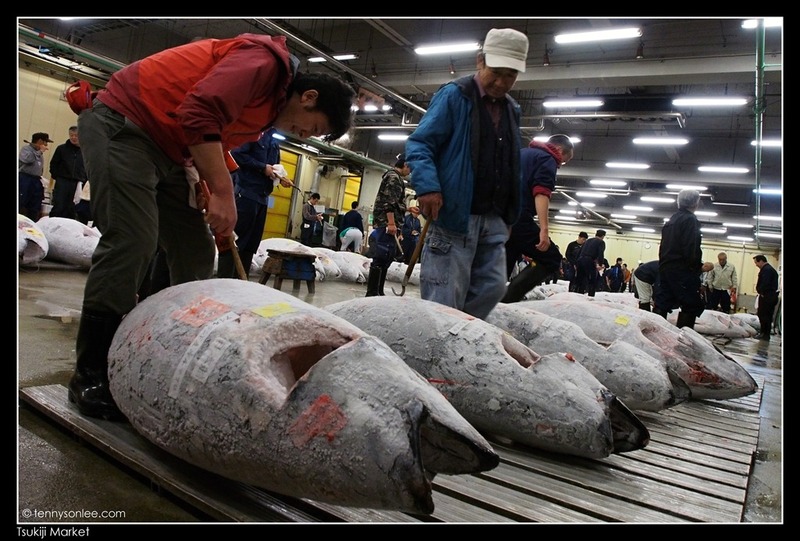 It was filed under Japan, Places, Tokyo and was tagged with Jogai Sijou, Tokyo, Tsukiji Fish Market, Tuna Auction, Uogasi Yokochou，東京筑地市场. Which Day did you go? I wonder if it has so many people everyday? We went on a weekend, and it was drizzling some more. The quota was filled by 4:30am (120 pax). If you bump into tourist group, one group may take up 30 pax. Reaching by 4am should be relatively safe. 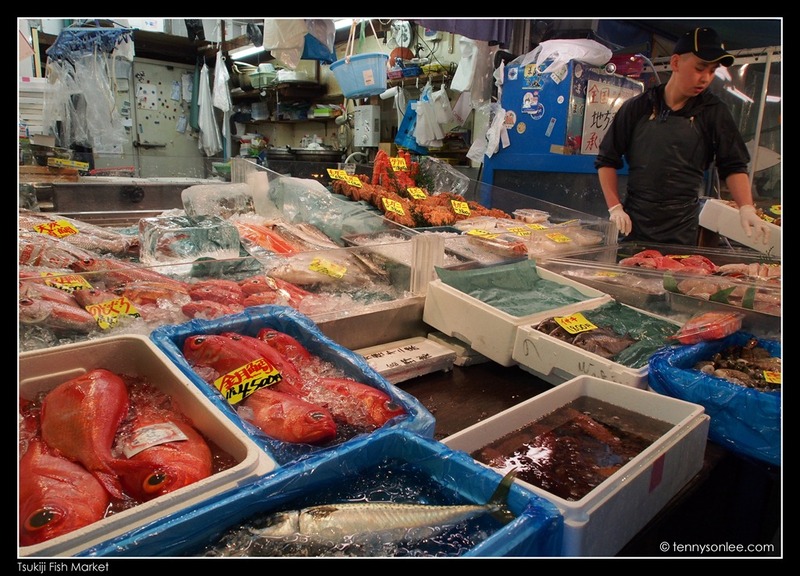 Have a nice visit, and don’t forget to try out some of the sushi or noodles at the inner or outer markets.